Shanice Howard could count the number of African-Americans in her Orange County community growing up on one hand. At 5’6″, the young gymnast stood out at her local club in more ways than one. 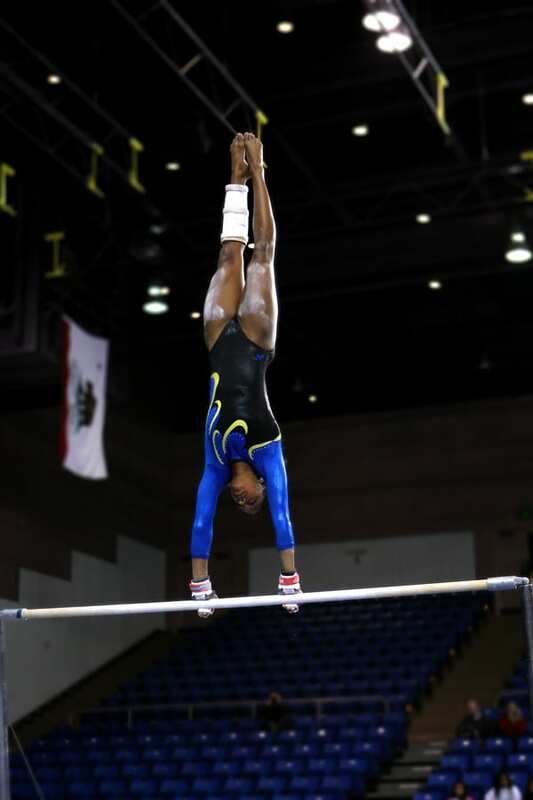 Following a back injury in her junior year of high school, Howard had all but given up on college gymnastics until she learned that San Jose State’s team had a scholarship available. 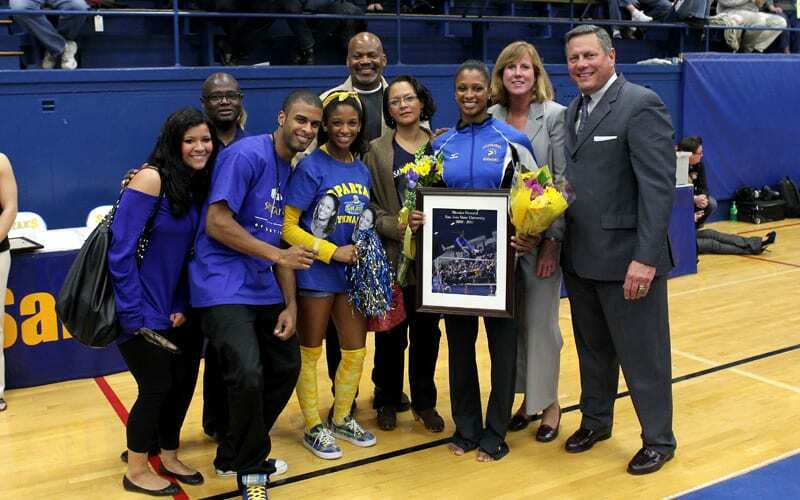 In the spring of her senior year, Howard impressed SJSU’s then-coach Wayne Wright and earned a spot on the team. Once in San Jose, she says that for the first time she realized that she wasn’t alone—in sport or at school. Howard first started tumbling at age five, when her mother began teaching preschool gymnastics. Though she learned to vault, perform the balance beam and the high bars, her favorite event by far was the floor routine. Always chasing that perfect 10 score, Howard says she learned to apply years of practice, competition and focus to life beyond the gym. Inspired by Olympians such as Dominique Dawes, the first African-American gymnast she saw compete, Howard was motivated to return, day after day, year after year, to the mat, the bars and the vault. As much as she idolized the three-time Olympic medalist, her lifelong role model has always been her mom. Her mother’s commitment to her family instilled an insatiable work ethic that Howard applied in gymnastics and at school. At San Jose State, she trained four hours a day, five to six days a week. Though the season lasted from January through April, she trained just as hard—if not harder—in the off-season. Because club gymnastics trains athletes to compete individually, the shift to college gymnastics reinforced the importance of working as a team. Howard loved hearing her entire team behind her. The first time she competed on the four-inch balance beam for San Jose State, she had to push past her fear and jitters and follow six women who fell, one after the other. She performed well and did not fall, winning the event. When she wasn’t in the gym, the President’s Scholar was studying to maintain an impressive 3.99 GPA. Her efforts were rewarded in 2011, when she was named the Arthur Ashe Jr. Female Sports Scholar of the Year by Diverse Issues in Higher Education, an award bestowed upon undergraduate student-athletes of color who excel in the classroom as well as in sports. The national winner for female student-athletes that year, Howard shared the magazine cover with Russell Wilson, who went on to become the Super Bowl-winning quarterback of the Seattle Seahawks. Because gymnastics is such a high-impact sport, competitive athletes are often prone to injury. 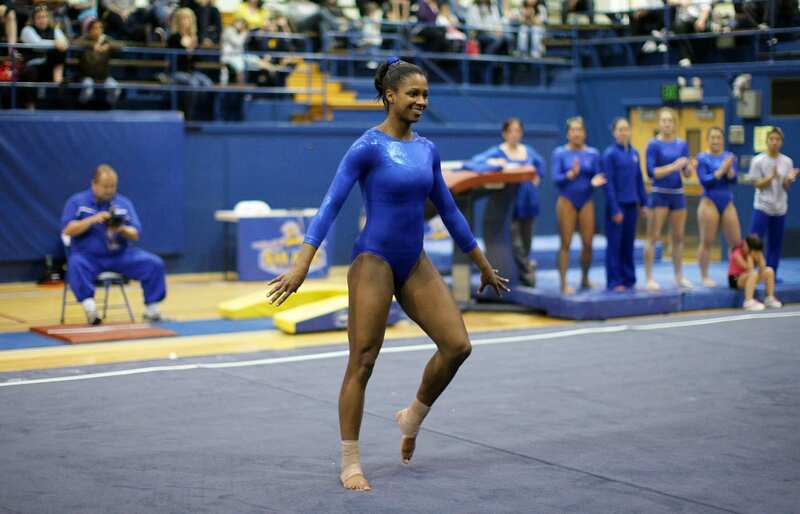 In her junior year, Howard suffered stress fractures in her shins that kept her from performing the floor routine. Outside of the Olympics, there are few opportunities for professional gymnasts to compete after college—which is why she wanted to take full advantage of her time on the team. Still, it bothered her that her injuries kept her from competing further in her favorite event. Motivated to help fellow gymnasts avoid injury, after graduating from SJSU she pursued a doctorate of physical therapy, became a licensed physical therapist and now helps athletes treat and hopefully prevent injuries. Years later, she says that few experiences compare to belonging to the student-athlete community at San Jose State.